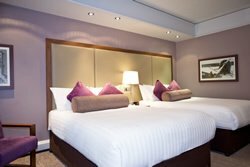 Overnight parking at the hotel is £7.00 - Complimentary Wi-Fi throughout the hotel. Pool area, steam room, fitness suite and changing room refurbished 2017. Includes Secured Meet and Greet Parking with I Love Meet and Greet a Gatwick Approved Parking Operator. 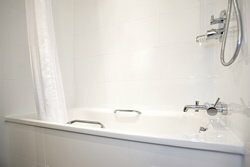 All bedrooms were refurbished to a high standard completed in 2016. 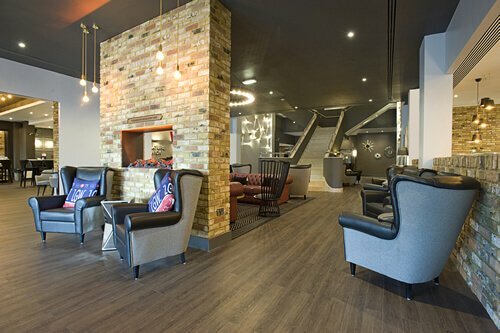 Complimentary Wi-Fi throughout the hotel, that covers both the public areas and the bedrooms all free of charge. 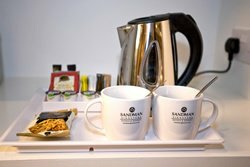 All rooms have en-suite walk-in shower room or bathroom, tea and coffee tray, satellite TV, phone, bedside USB charging point, alarm clock, iron & ironing board, safe, fridge, microwave, hair dryer and free Wi-fi. 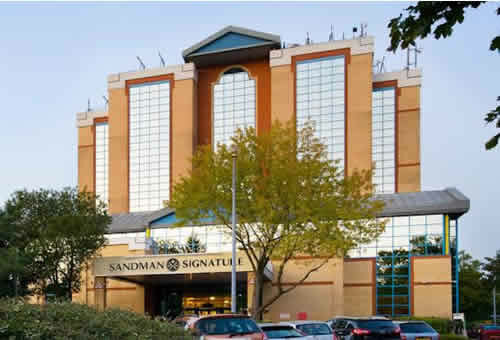 Overnight parking at £7 is payable to the hotel then your Secured Holiday Parking is included with I Love Meet and Greet parking a Gatwick Approved Parking Operator with a secured compound with the Police awarded Park Mark. There is a restaurant with cosmopolitan menu and a lounge bar where snacks are available. Childrens menu available Children 4 and under eat one course free of charge from the children's menu. Children 5 - 12 years can eat 2 courses from the children's menu for just £6 when eaten in the bar or restaurant. Hotel swimming pool and fitness suite has been reopened after its refurbishment 2017. 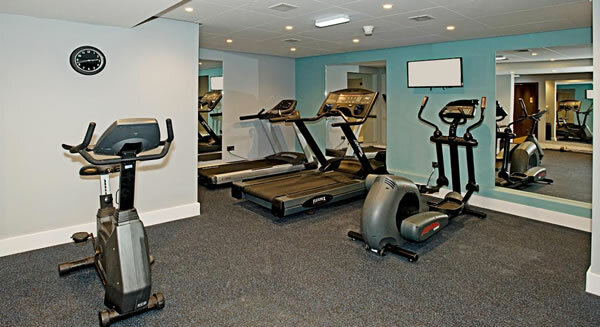 Pool area, steam room, fitness suite and changing rooms. The room was spotless, bed - comfortable, staff - friendly. You have to pay the parking fee of Â£7 per night stay at the hotel, which I think should be included in the price. Room was hot air con not working, given cheap fan which didnât not help and was noisy. bed was uncomfortable. Did not sleep at all. Staff not that helpful. Will not stay again ! Nice hotel and room but steam room not on or working! 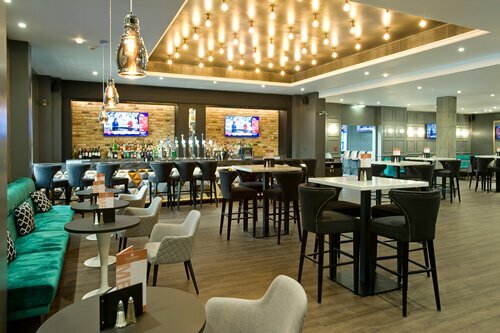 Lovely hotel will use again reasonably priced food and drink ,meet and greet was very easy and was there when we dropped off at airport and when we came out of airport all run very well . Fantastic hotel! Well worth the money. One junction away from LGW! Will stay again next ywar. Excellent service and booking with FH. Very helpful. Hotel and parking service went smoothly and very pleased with both. Good value for money will use again and can highly recommend. Nice, clean hotel, good food. Parking with I Love Meet and Greet was quick and efficient. Car was returned promptly and appeared to have been well looked after. It was extremely easy to book the hotel and meet and greet parking, which was a great start! The hotel was lovely - our room was generous in size and the staff were lovely; very professional and friendly. We were approx. 5 mins drive from the airport and the pick-up point. I called FHR just as we left the hotel and the gentleman I spoke to was very friendly and explained where we had to go to meet him. He was there waiting for us when we arrived and just gave us a receipt and told us what to do when we arrived back at Gatwick for the journey home. On arrival 2 weeks later, I called FHR as soon as we collected out suitcases and we just had to wait a couple of minutes at the same pick-up point before the gentleman arrived with our car. The whole experience was very professional and the service extremely easy to use. I would definitely recommend it to others, and will use it again myself when flying from Gatwick. Lovely hotel and lovely equipped rooms however the air-conditioning is non-existent. This is our second stay at this hotel, the last one was in the winter and the rooms were too hot then. We viewed 3 rooms to try and get a cooler room and ended up in a disabled rom. Disappointed that this issue is still not resolved. Looking at other reviews it has been like this for over 18 months. Other than that the restaurant is nice and the spa facilities are a bonus. We booked this hotel again as it seems to be the only one with a pool. Great facilities, very comfortable and excellent service. Will book again! Parking will be with I Love Meet and Greet Parking, a Gatwick Approved Parking Operator, Trading Standards approved with a secured compound with the Police awarded Park Mark. A separate voucher will be sent for use at the car park. Please make sure you have this. Leave the M23 at junct.10, at the roundabout take 3rd exit, if coming southbound or 1st exit if coming northbound, this is the A2011 to Crawley. After 1/2 mile you will see the hotel on the left, keep to the inside lane. At roundabout take sharp left to the hotel entrance. Stay overnight in the hotel car park. On the morning of your departure drive to Gatwick Airport and follow the instructions on your parking voucher. 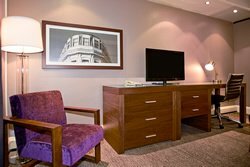 Complimentary Wi-Fi throughout the hotel, that covers both the public areas and the bedrooms all free of charge. 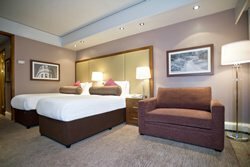 All bedrooms have been refurbished to a high standard - completed in 2016.